Exclusive discounts for the CloserIQ community. Savills Studley is a leading commercial real estate advisory firm specializing in tenant representation. Email Jason Perla @ Savills Studley (below) and mention CloserIQ to get a $1,000 gift card for an office leasing transaction through Savills Studley! Full service law firm with nationally raked startup and venture capital practice group. Working with startups from pre-formation through exit. Talk with experienced startup/VC lawyers on any topic of interest, from raising money, to closing enterprise saas deals, to selling your business. Email Scott Smedresman @ McCarter & English (below) and mention CloserIQ to get a free 30 minute consultation! McCarter & English is a full service law firm with a nationally ranked startup and VC practice group. employee/employer HR compliance. Save money on healthcare and reduce administrative headaches around HR compliance, payroll and workers comp with TriNet. Email Cassandra at TriNet (below) and mention CloserIQ to get a 15% discount for new clients. TriNet is a single sign-on solution for payroll, benefit administration and employee/employer HR compliance. End-to-end collaborative recruiting platform that accelerates every source-to-hire step of building high-performance teams. Got a need for recruiting speed? Email Comeet, mention CloserIQ, get 20% off your first year subscription! Developed for a post-applicant tracking world, Comeet’s collaborative recruiting platform streamlines recruiting for startups. Fluent City helps organizations better equip their teams to tackle the language barriers associated with today's global workforce. Our annual service agreements enable companies to access our entire suite of language products, along with tons of other benefits. Email Fluent City (below) and mention CloserIQ to get a 15% off on any annual service agreement! Fluent City helps companies globalize their workforce with enterprise language solutions across 11 languages nationwide. With a decade of experience reinventing primary care, One Medical helps businesses transform their employees’ healthcare experience. One Medical memberships are included in certain Justworks programs. For companies with 50+ employees, direct partnership opportunities are available. Submit an inquiry and mention CloserIQ for custom program pricing. One Medical is a membership-based primary care practice that enhances your health benefits package. Remote Year brings together communities of location-independent professionals to spend a year working, traveling and exploring 12 cities around the world. As a Remote Year partner, CloserIQ applications will receive priority status and all applications fees will be waived. Put CloserIQ as the current company so we will identify your application as priority and waive your application fees. Remote Year enables talented professionals to work and travel the world as part of a vibrant global community. Lever streamlines the hiring process and simplifies the Applicant Tracking System, so that recruiters and hiring managers can focus on what truly matters: their candidates. Any CloserIQ customers will receive 10% off Lever's list price for any new plan (starter, pro, or enterprise). Visit the link below and mention CloserIQ in the demo request or when you speak with Lever. Intentionally designed and deceptively simple, Lever brings together the talent you have to hire, the talent you need - fast. WeWork is the platform for creators. We provide beautiful workspace, an inspiring community, and meaningful business services to over 100,000 members, ranging from startups to enterprise companies, around the world. Email WeWork (below) and mention CloserIQ to get a 10% monthly discount for any Hot Desk, Dedicated Desk or Private Office space for up to 12 months of membership in select WeWorks. WeWork offers beautiful workspace, a powerful community, and meaningful services to over 100K members globally. Justworks provides small businesses a tech-forward payroll + HR compliance platform with rich health benefits to take care of their teams. Sign up with the link below and get your first month on the Justworks platform free! Justworks provides small businesses a tech-forward payroll + HR platform with rich health benefits to take care of their teams. Greenhouse helps companies make better hires, faster, and retain them longer. From sourcing stronger candidates to designing a structured hiring process to enabling collaborative onboarding, Greenhouse makes tools that allow your teams to work successfully together. Email Greenhouse (below) and mention CloserIQ to get 10% off your entire first year! to optimize your entire recruiting process. Eden Health eliminates the hassle of healthcare for employers and their employees. We’re a new kind of doctor’s office that combines a private primary care practice, 24/7 telemedicine, and personalized insurance navigation into one simple platform. Eden provides an experience that employees love and saves employers time and money with seamless, data-driven healthcare. Email Matt at Eden Health and mention CloserIQ to get one month free. Eden Health saves employers time and money with seamless, data-driven healthcare that employees love. Impraise helps 150+ innovative clients to achieve a high performing work environment by facilitating more regular coaching throughout the organization; making it more easy to collect feedback at any moment; and to provide meaningful data into the performance of an organization. Email Impraise(below) and mention CloserIQ to get 10% off your entire first year! 24/7 customer service at no added charge. Book using promo code CLOSERIQ at Upside.com and receive a $100 Amazon gift card. 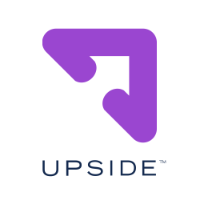 Upside helps you book all your business travel in one single place with the lowest discounted rate and 24/7 customer service. Apply below and get free CRM use and 50 - 90% off HubSpot Marketing and Sales Software for eligible startups. HubSpot is the world’s leading inbound marketing and sales platform with 31,000+ customers in more than 90 countries. Want to list your company's perk? CloserIQ customers will get a discount on WIS sponsorships. Email WIS(below) and mention that you are a CIQ customer to get 40% off annual sponsorship packages! Women In Sales (WIS) is a digital platform dedicated to developing the next generation of female sales leaders. WeWork Labs provides the community, education, connections, and mentorship to help anyone take the startup path and grow with us. We partner with local incubators and accelerators to provide holistic, long-term support for startups throughout their journey. Above all, we believe in humanizing the startup process, encouraging inclusivity and diversity, and connecting people to one another.